Helen Colebrook has a series of bullet journal planning videos where she does flip-throughs, explanations, and demonstrations of how she uses her Rhodia Goalbook bullet journal and Dot Book in a traveler’s notebook cover. She shows her weekly spreads and discusses how she uses each notebook. You can see Episode 1 here where she shows you her setup. In Episode 2 she shows you specifics of her daily planning system. The Rhodia Goalbook notebooks come in 16 different colors and are designed for bullet journaling with numbered dot grid pages, index pages, undated Future Log and monthly calendars, and more. The Rhodia Dot Book is a side stapled, slim notebook that slips easily into a pocket or a traveler’s notebook style cover. 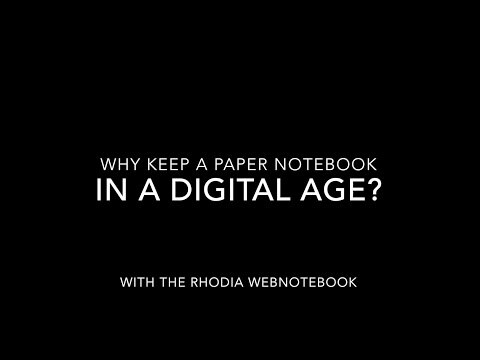 Click these links to find more information about the Rhodia Goalbook and Rhodia Dot Book including where to buy.